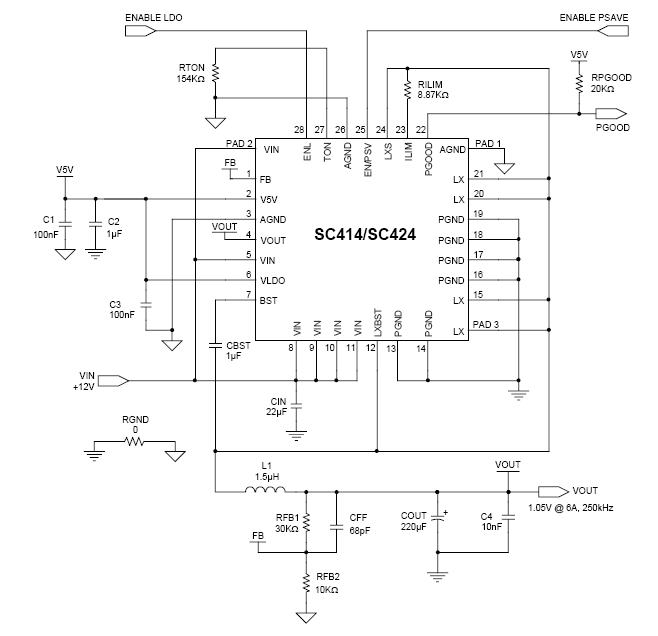 The SC424 is a stand-alone synchronous buck power supply. It features integrated power MOSFETs, a bootstrap switch, and a 5V LDO in a spacesaving MLPQ- 4x4mm 28-pin package. Press Release . . .
For selectable ultrasonic power-save see SC414 product page.